Eye infections can make your eyes look and feel downright miserable, and it’s very important that you get treatment before the infection grows worse and permanently affects your vision. 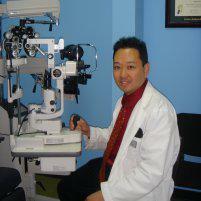 At Eye Appeal Optometry, experienced optometrist Henry Oishi, OD, has the training and skills to treat eye infections quickly to avoid long-term vision damage. Use the online booking tool now or call the Temecula, California, office to arrange an appointment today. If you're suffering from an eye infection, you might have several of these symptoms at once. If you've got eye infection symptoms, it's vital that you call Eye Appeal Optometry to get the help you need promptly. 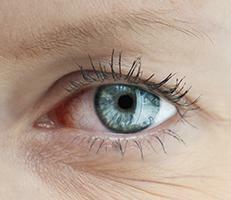 What are the most common eye infections? Also known as pink eye, conjunctivitis is a contagious eye infection that usually affects children. It causes discomfort or pain, red or pink eyes, eye discharge, and other symptoms. A stye is an eye infection that occurs when bacteria invades an eyelash follicle and causes a bump on your eyelid. It's often quite painful and can make it difficult to see normally. Keratitis can occur in bacterial, viral, or fungal form. This eye infection can cause pain, light sensitivity, discharge, and a variety of other eye issues. There are many other eye infections you may contract. Regardless of infection type, prompt treatment is important. What is the treatment for an eye infection? In addition to the treatment Dr. Oishi prescribes, you can often take a few other steps to get eye infection symptom relief. First, consider removing your contact lenses and wear your eyeglasses until the infection clears. Always avoid sleeping in your contacts, even after your eye infection is gone. You can do warm compresses to soothe your eyes as well. Always be sure to wash your hands before touching your eyes, and avoid touching or rubbing your eyes as much as possible. Is an eye infection making you edgy? Use the online booking feature now or call Eye Appeal Optometry to schedule your appointment.